Everyone has knowledge, why not spread it? Of course no one knows everything about elearning, but the information you do know could help someone in need – and that’s where joining a community comes into play. A variety of topics can be discussed including: tips on video editing, courses on the rise, and usability. Not only will you be helping others and gaining knowledge but you’ll also build relationships with people who share the same interest as you. A plus about this type of community is that there is no need to charge for the information you give and vice versa. The relationships you are building with other elearning enthusiast should be considered a “you scratch my back I’ll scratch yours type of thing.” No need to charge for that. When some people think of online communities they usually envision out-dated chat rooms or Instagram comments where people are getting slandered for everything under the sun. But thankfully, there are guidelines when entering an elearning community and they promote positive online discussions. At the end of the day, you are joining the community to learn or help, therefore no negativity is needed. So even if someone has asked the same question for the 30th time, there is no need to get frustrated, just remember the purpose of the community. eLearning Industry does a great job of listing the Do’s and Don’t of their elearning community guidelines. Be sure to check it out if you aren’t sure of what’s off limits when entering a new community. Tired of reading picture perfect reviews on products and want the real deal? Looking for a job in the elearning field and not sure where to start? 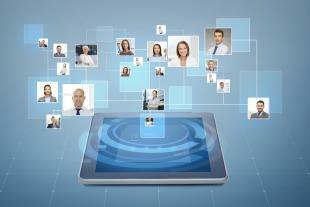 Joining an elearning community would be great for you! The beauty of having a trusted community is that you can depend on their comments and referrals to be credible. These members joined because they care about elearning just as much as you do. Not to mention, the relationships you build with the people in your community can lead to endless possibilities. I suggest taking it one step further and following one another’s LinkedIn accounts. You never know what could happen. One of your fellow community members could become a future collaborator. The elearning world is evolving daily so to make sure you don’t get left behind consider joining one of the popular communities below. Good luck and happy learning!